Last weekend, Hurricane Irene ripped out the hearts of so many communities in the NorthEast and elsewhere. I have friends who have lost their belongings, friends who are without power and water,Â and family who have been isolated by floods ripping out their roads.Â While we just had some downed branches, a bit of damp in the basement. Â For some unknown reason, our power stayed on. I feel so fortunate. Though I can’t do much in the way of digging mud out of homes, I thought I could at least help by finding out which libraries in my area are in need of help. Why libraries? Libraries should be a haven in any storm, whether economic or weather related, and are so often the heart of their communities. Let’s help them be that again. Three libraries (that I know of) in my region were hit very hard by the storm. After days without power and phone service, some reports have trickled in to the Mohawk Valley Library SystemÂ & Mid-Hudson Library System. Word is that they’ve all been flooded and lost portions of their collections. There are relief efforts in all of these areas. But if you’d like to help out the libraries directly, I imagine a check sent to the library wouldn’t go amiss when it comes time to restore the buildings and rebuild collections. Unfortunately, these aren’t the only libraries that have been damaged. Kate Messner has written an eloquent post about damage and losses at the Wells Memorial Library in Upper Jay, NY and also the West Hartford Public Library in Vermont. Thanks for suggesting a check, rather than book donations. These are small libraries with very small staffs to sort through materials and get them processed. And, it’s also likely that the staff members are also digging out from the flood–or helping neighbors with that task. I grew up using the Schoharie library, starting when it was in the DAR Hall off Main Street. This is all so sad. Yes, I was afraid people would send boxes of books! The last thing they need right now! Money, hardware store gift cards, etc. I spent part of my childhood in this area too. Such a pretty area, it’s heartbreaking to hear the stories coming out of that region. Hope any friends & family you have in the area are ok? The Vt Dept. 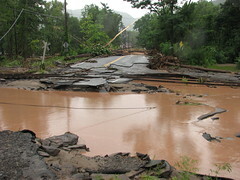 of Libraries has a complete list of libraries’ status after Irene on its website: http://libraries.vermont.gov. Most are OK but the Dept. site also has information for donations of cash.